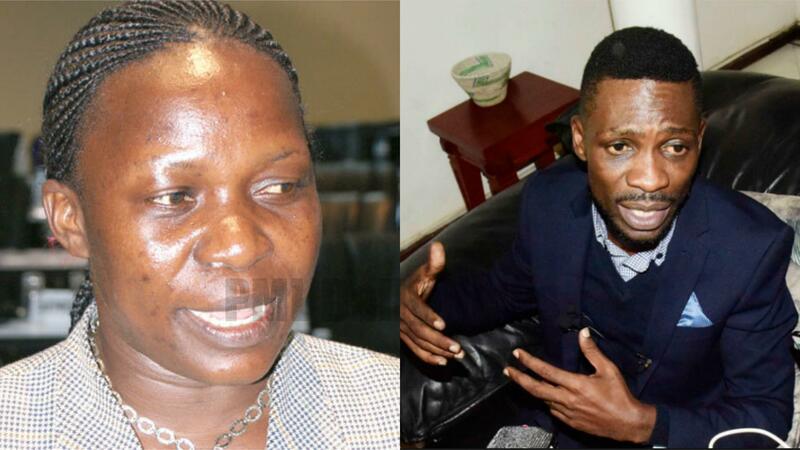 MAYUGE – State minister for Local Government Jennifer Namuyangu has warned youths against having too much excitement for ‘People Power’, saying its purported leader, Mr Robert Kyagulanyi (Bobi Wine), cannot defeat President Museveni. “I hear you shouting People Power but you are wasting time. If we (the NRM) defeated Besigye who was much stronger, what about Bobi Wine? He cannot defeat Museveni,” she declared. Ms Namuyangu was on Monday presiding over thanksgiving for newly sworn-in LC1 and LC11 chairmen at Nakitwalo Village, Kigandalo Sub-county in Mayuge District organized by the area Member of Parliament, James Kyewalabye Majegere. Ms Namuyangu’s remarks were triggered by a group of youths who kept interrupting her speech by chanting: “People Power! Bobi Wine!” as she made her way to the podium. MP Majegere asked the LC Chairpersons to work for unity in the constituency and avoid politics based on patronage and urged residents to continue supporting him so that he is retained in Parliament after the 2021 elections. “You (LCs) are supposed to handle cases like trespass on land, settling divorce and debts of not more than Shs2m among others, but not capital offences like defilement and murder,” she said. The LCs asked Mr Majegere and Minister Namuyangu to lobby Parliament advocate to have their annual pay of Shs120,000 increased.